The combination of duck and orange is an irrefutable classic. 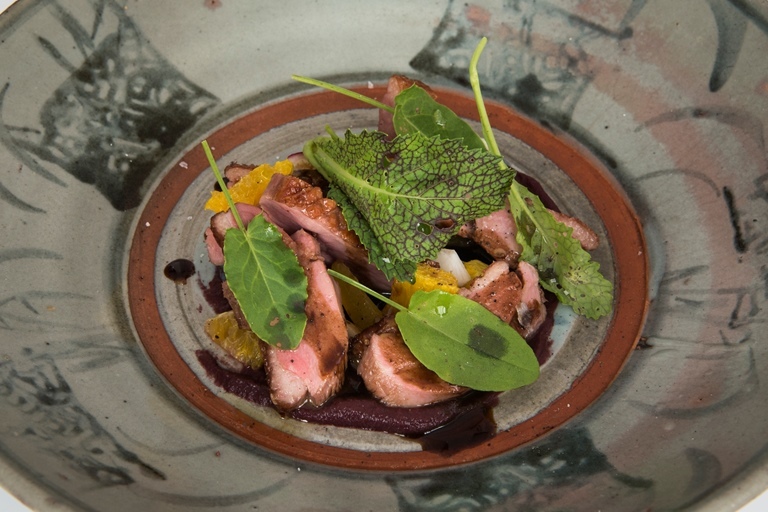 Lorenzo Cogo gives the dish his own twist using a purée of radicchio – the famed Italian leafy vegetable. The bitter notes of the radicchio are further enhanced with a generous scattering of mustard, nasturtium and sorrel leaves, perfectly balancing the zesty sweetness of orange and the rich duck. Pan-fry for a few minutes until the skin is golden and caramelised, then turn over for 30 seconds to finish cooking. Remove from the pan and leave to rest for 5 minutes.